Corporate interest in Japan is likely to increase this year, due to falling prices and an increased demand for long-haul travel. Speaking at the MPI Insights- Economic Outlook 2016 forum last week, David Goodger, director, Europe at Tourism Economics, said that he expected the destination to become more popular with international corporate travellers, as the weakening yen makes the country more affordable. "There’s a lot of growth in Japan and I think it will establish itself as a destination for incentives in the next couple of years." The country was added to Pacific World’s portfolio last year, when it partnered with JTB Global Marketing & Travel. At the time of the partnership, Haruhiko Sakano, director of sales & marketing at JTB Global Marketing & Travel, said that it was an excellent opportunity to promote Japan to an international audience. Elliott Grant, business director at the Black Tomato Agency, said that traditionally, there hadn’t been a huge demand for Japan due to long flights and a big time difference. "However, we will continue to pitch the destination. We’ve noticed a trend towards long-haul destinations, with Costa Rica gaining popularity," he explained. 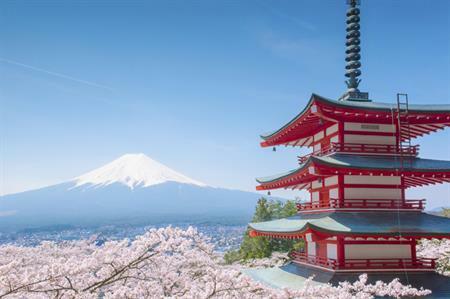 "As Japan becomes a cheaper destination to visit and our clients become more adventurous, I think it will be an ‘up and coming’ destination for the C&I market." In last year's C&IT incentive report, more than half the agencies surveyed (54%) predicted a rise in demand for long-haul travel.